Find the person's Facebook profile by uploading a picture or take a photo through the webcam! 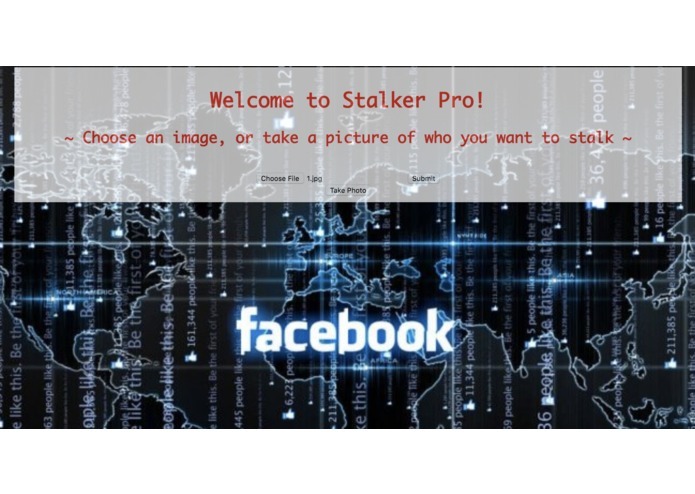 Facebook Profile Recognition is an online application that allows you to find the Facebook profile of the person of interest by providing an input photo! The Facebook graphics API (https://facebook-sdk.readthedocs.io/en/latest/api.html) is utilized to get the publicly available photos and the link to each profile; the face recognition module (https://github.com/ageitgey/face_recognition) is used to compare the photos in your friend database and the input photo. Connect to Linkedin / Instagram.